The upcoming fundraising concert - which is to be held at the Royal Albert Hall on March 28 - will see James Bourne, Matt Willis and Charlie Simpson perform together on stage before Ed Sheeran headlines the night. Busted said: "It is an honour to be invited by the Teenage Cancer Trust and Ed Sheeran to perform at the Royal Albert Hall. We're thrilled to support such a fantastic charity whose work we have witnessed first-hand, and to share the stage with the hugely talented man of the moment Ed Sheeran. It promises to be a memorable evening, we can't wait!" The band split in 2005 but reformed again last year - to the delight of fans - and released new album 'Night Driver' in November. 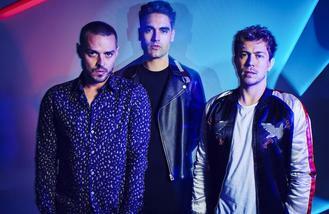 Busted have just finished a sell-out UK headline tour, performing a string of their old and new hits, including 'What I Go To School For' and 'Year 3000'. Ed, meanwhile, has broken records across the globe with his dual comeback singles 'Shape Of You' and 'Castle On The Hill'. The singles have accumulated over 900 million combined global streams to date and 'Shape Of You' landed Spotify's biggest-ever day streams. 'Divide', Ed's third studio album, was released on March 3 and has become a phenomenon, selling 232,000 copies on its first day. Completing the full line-up for this year's Teenage Cancer Trust week are The Who, Paul Weller, Pet Shop Boys with Johnny Marr and Olly Murs, as well as special guests Jo Brand, Kevin Bridges and Russell Kane.